Based on its recent analysis of the North American market for heavy equipment fleet telematics and management, Frost & Sullivan recognizes ORBCOMM a provider of Industrial Internet of Things (IIoT) and Machine-to-machine (M2M) solutions, with the 2018 North American Company of the Year Award. 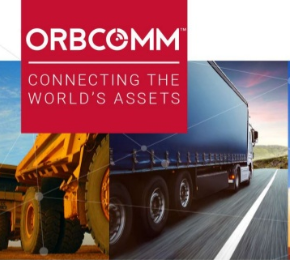 ORBCOMM offers comprehensive heavy equipment solutions, which include ruggedized and purpose-built devices, efficient web applications, global multi-network connectivity, and predictive and diagnostic analytics tools, to provide fleet managers with deep insights that can aid in maximizing efficiency and profitability. A long-time leader in this market, the Company supports the complete heavy equipment value chain, from the world’s largest Original Equipment Manufacturers (OEMs) to dealers and fleet owners. To accommodate the growing need in the heavy equipment industry for more data delivered in customized formats and at greater frequency, ORBCOMM has continued to enhance its robust FleetEdge web application to help stakeholders, from C-suite executives to fleet managers, improve business planning, asset utilization, and profitability. ORBCOMM’s FleetEdge reports diagnostic information, such as fault codes and sensor alerts, location, engine hours, mileage, and maintenance alerts, for heavy equipment assets, many of which are in remote, difficult to reach locations, for maximum visibility and control. Powered by ORBCOMM’s global satellite and cellular connectivity and state-of-the-art devices, FleetEdge has become an integral, highly valuable component in the day-to-day business operations of the industry’s leading heavy equipment companies worldwide. FleetEdge uses the ORBCOMM IoT stack to enable big data integration and robust analytics. The scalable application is able to retrieve data directly from ORBCOMM’s DeviceCloud, making it ORBCOMM’s first device-agnostic, cloud-based application. DeviceCloud supports ORBCOMM devices as well as third-party devices and facilitates the management of mixed fleets from a single interface. ORBCOMM supplements these best-in-class technologies with multi-layered customer support and service-level protocols to ensure efficient and seamless deployments for fleets of all sizes, which have helped the Company achieve strong financial growth, a unique competitive advantage in the market, and a loyal, world-class customer base.